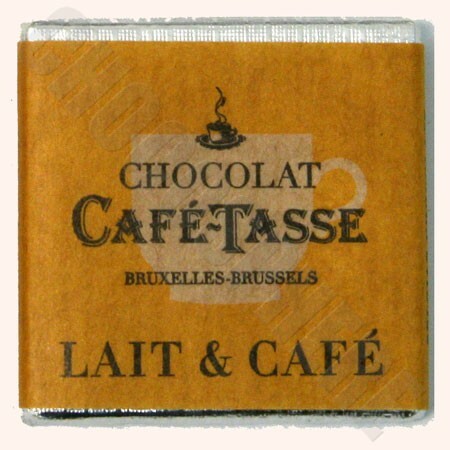 Cafe-Tasse Belgian, 50-square Bag of Milk/Coffee Napolitans individually wrapped. 33% cocoa content. 250g/8.8oz net wt.